Next stop on the tram, Karaköy. Here is a guy sitting on a hill at the edge of Gezi Park singing a song in Arabic. A Turkish gentleman singing a song to his friends at a back-street vodka drinking party (they were not drinking rakı), fairly close to İstiklal Caddesi. A twittering bird in the treetops in Yıldız Parkı. Yıldız Parkı one once part of the grounds of Yıldız Sarayı (Yıldız Palace), one of the last palaces of the Ottoman Emperors. 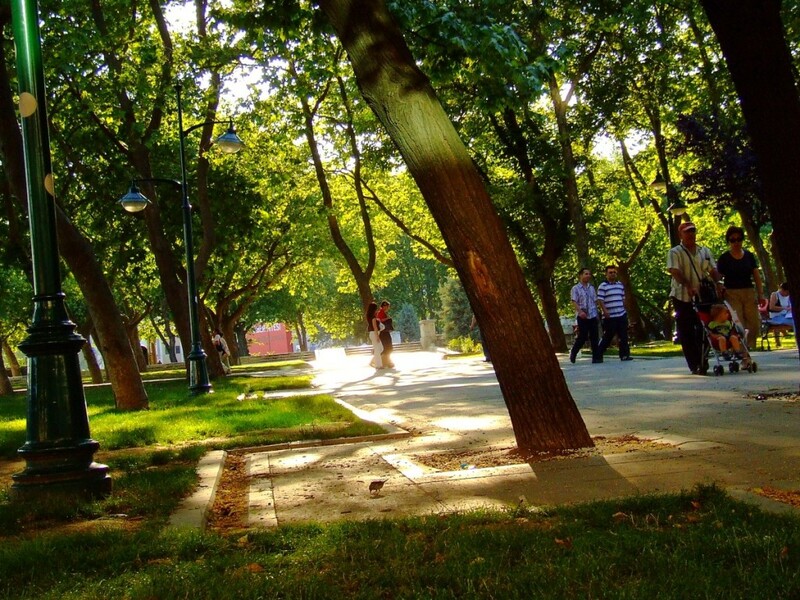 Located in the Beşiktaş district, it is one of Istanbul’s largest parks. Another weekly market, newly-discovered (by me, anyway), and only a twenty-minute walk to get to (up and down, naturally). This one stretches for several blocks, much bigger than the Oğuz pazar mentioned earlier. Produce, cheese, olives, clothing, shoes, housewares, fish (to cook and eat, as well as goldfish pets), honey, eggs, and much more is available. This audio is a condensation of vendor calls heard during a stroll through the market; the duration of the actual walk was much longer, of course. I particularly like the singing vendors. Tarlabaşı, a neighborhood in Beyoğlu is here. The neighborhood has an interesting history, which you can read more about here. Another cümbüş player, this time with vocals. Again, at night, at a restaurant on the side streets around Istiklal Avenue. For more about the cümbüş, see this earlier post.